After almost a year spent exploring real estate opportunities in Brazil, it dawned on me that the market had not only become a prime example of speculation gone crazy but also where housing had become a very vivid indictment of the massive wealth divides that still exist amongst the so called “emerging” nations. Indeed, contrary to government statistics which very debatably underestimate the true extent of the issue, the housing shortage stands at a minimum of 15 million units and rising by at least 1.5 million units annually – with literally no solutions in place. In 2010, I came across the work of developer Manoel Pinto and the Fez Tá Pronto Construction System©. Manoel and his chief engineer Paulo Vilena between them possess over five decades of Brazilian property development experience when they launched a delivery model that challenged the chaotic and outmoded construction process that dominates the country and around the world. Fez Tá Pronto is a semi-industrialised and copyrighted building system that uses specially designed, patented gypsum plaster blocks to build high-quality and environmentally friendly housing units, from single-storey bungalows to multi-storey apartment blocks. Fez Tá Pronto projects have been approved by the leading home lenders of the country: namely, the Caixa Econômica Federal, Banco do Brasil and the Banco Real (now merged with Santander). 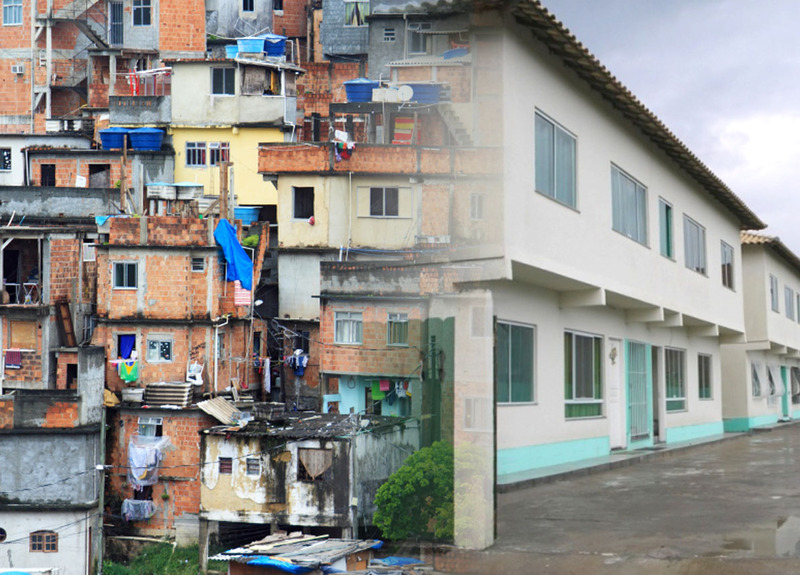 It has been tested in developments over the last eight years, including the Rio das Ostras project that was successfully audited (and mortgage financed) by Caixa (the main administrators of the Minha Casa, Minha Vida or “My House, My Life” low-income housing initiatives). Crucially for the unviable low-income market, Fez Tá Pronto delivers high-quality homes at a minimum of 40% less cost than is standard, using materials normally reserved for luxury real estate in Brazil. The methodology delivers homes up to four times faster than the Brazilian industry average, regardless of development size. We also offer workers a safe and clean environment, and salaries up to three times the standard. There are already a slew of “quotes for social entrepreneurs” blog posts out there but how can social entrepreneurs pull from other spaces? What’s so great about the tight-knit #socent community is that, well, it’s tight-knit. At the same time, however, sometimes, like all communities, it’s too inward-looking and can become a recycling bin for so-called best practices. To say that Anaïs Nin’s writing has depth would be an understatement. This quote in particular is next-level cathartic. I mean, the social entrepreneur has feelings too. What’s more, for the business creator, it speaks to not only to diving deeper into models and impact, but also to mysticism. Surrendering to the outside, to forces beyond control (and not in a religious sense), can relieve stress and create a “breath in, breath out” moment. I chose this almost to counteract the Nin quote. (You see what I did there?) Social entrepreneurs, much like more “traditional” charities and non-profits, are bombarded with the need to measure everything. Sometimes it’s crucial to step back, look at the big picture and think like a toddler, that is, ask why. Why are you measuring this? Why is this measure important? Why aren’t I measuring something else? It could always be otherwise. Not simply a quote, this one is also a book on passionate politics. 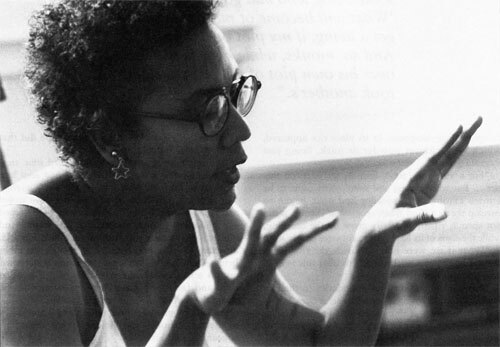 In it, hooks defines feminism as “a movement to end sexism, sexist exploitation, and oppression.” For her, feminism(s) is/are intertwined with race, class and sexual orientation (etc.) — the infinite intersectionalities. So, this stems beyond “mere feminism” and everyone, not just social entrepreneurs, needs to recognize and acknowledge privilege and oppression alike. What’s particular about social entrepreneurs, and anyone in the business of social change, is that people often think they’re always helping. On-the-ground services, donations in particular, can have positive and negative consequences on the market economy, local culture and the entire big bad globe. In particular, the way in which the West talks about Africa (not a country!) is often clouded with racism—in spite of, or perhaps because of, the seemingly altruistic nature of social good. Just look at this.